In the last fifteen years, the introduction of plane or diverging wave transmissions rather than line by line scanning focused beams has broken the conventional barriers of ultrasound imaging. By using such large field of view transmissions, the frame rate reaches the theoretical limit of physics dictated by the ultrasound speed and an ultrasonic map can be provided typically in tens of micro‐seconds (several thousands of frames per second). Interestingly, this leap in frame rate is not only a technological breakthrough but it permits the advent of completely new ultrasound imaging modes, including shear wave elastography, electromechanical wave imaging, ultrafast doppler, ultrafast contrast imaging, and even functional ultrasound imaging of brain activity (fUltrasound) introducing Ultrasound as an emerging full‐fledged neuroimaging modality. 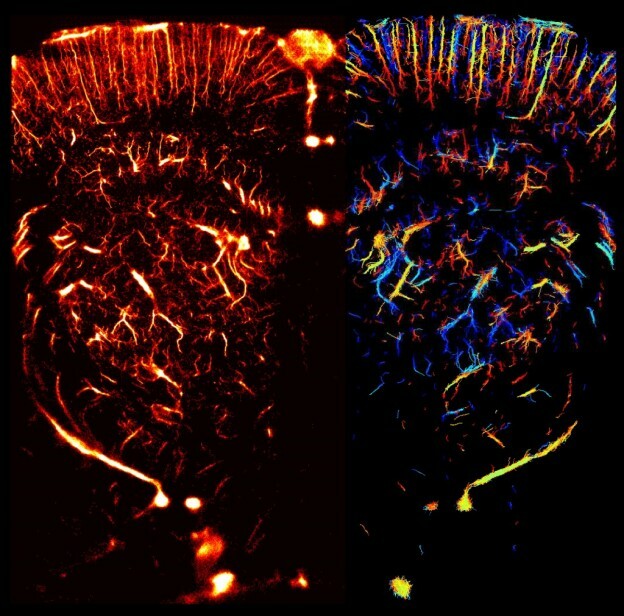 At ultrafast frame rates, it becomes possible to track in real time the transient vibrations – known as shear waves – propagating through organs and provides quantitative maps of local tissue stiffness whose added value for diagnosis has been recently demonstrated in many fields of radiology (breast, prostate and liver cancer, cardiovascular imaging, …). For blood flow imaging, ultrafast Doppler gives ultrasound the ability to detect very subtle blood flow in very small vessels. In the brain, such ultrasensitive Doppler paves the way for fUltrasound (functional ultrasound imaging) of brain activity with unprecedented spatio-temporel resolution. Combined with contrast agents, ultrafast imaging can localize millions of micro bubbles in some tens of seconds and performs images of deep organs vasculature at microscopic resolution with a non invasive approach.